Molds are made with superior strength, high quality, and high gloss ABS plastic. Molds feature a 7° relief and rounded corners for better release, making stones even easier to create. All Mosaic Art™ stepping stone molds have a lifetime guarantee. 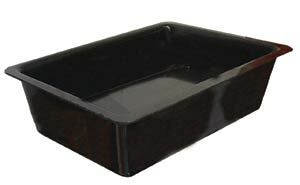 Molds are made with superior strength, high quality, and high gloss ABS plastic. Molds feature a 7° relief and rounded corners for better release, making stones even easier to create. All Mosaic Art stepping stone molds have a lifetime guarantee. CIM's cored cane was an experiment in mixing colors. This rod is a Cranberry Pink heart shaped core encased with Gelly's Sty. When worked it produces a streaky pink and red effect. Also if you use glass nippers and cut slices this makes great murrini. Click on the picture for close up.